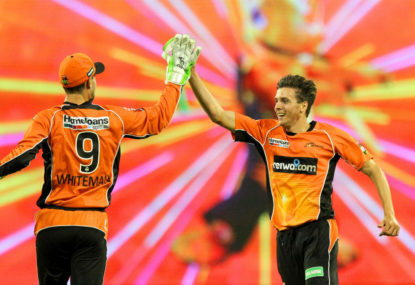 There’s only so long that Cricket Australia’s ideal can repel the bucketloads of BBL cash. CA’s principle is that the two state-based domestic competitions – the four-day Sheffield Shield and the one-day cup – need to be retained to produce Australia’s Test players and limited-overs internationals. Of course, it’s well founded. But it’s a belief that will cop searing cross-examination early next year when CA look to cash in on the booming BBL. Channel Ten’s broadcast contract comes to end at the end of this season, which started last night when the Sydney Thunder pipped the Sydney Sixers in a last-ball thriller. It’s been speculated that the next deal will bring in between $40 million and $60 million. Per season. That’s serious coin; Channel Ten paid $100 million over five years for the current rights. The BBL’s popularity can’t be challenged. In its seventh season, crowd figures and TV ratings have gone through the roof. The white ball starts flying and the fans lap it up. There’s music. Flame machines. Fireworks. Dancing. Some have speculated that interest will plateau. But that argument has little foundation (the BBL claim that almost 30 per cent of all attendees have never been to a cricket game before). Plus, the women’s BBL is firing too. If CA are keen to explore reaping an even bigger broadcast contract, why wouldn’t they entertain extending the BBL season? It could become more than just a summer holiday fling. There are already more games this season than last – up to 43 in 47 days. And BBL chief Kim McConnie has already talked about adding more teams, which naturally would mean a broader schedule. If the players want to get among the millions, their union could be mobilised to lobby for a longer season. And why not? The one-day cup and Shield competition are loss-makers for CA. Their coverage has disappeared off TV screens. Why not shave one of them down. Or both? The one-day cup has been squashed into only a few weeks already in October. So there’s not much fat to shave off there – although its timing is a bit incongruous given it doesn’t lead into any international one-day cricket. How could a remodelled and reduced Shield season possibly look? For the current season, there were five rounds of matches played between late October and early December. They are perfectly placed to make sure Australia’s Test team is in form and raring to go. But the five matches in the new year – after the BBL and before the IPL – to complete the full home-and-away season seem obsolete. Two more matches seem more appropriate – mostly to give a few Test players to chance to prepare for overseas series in March (Australia head to South Africa next year). The Shield competition, regrettably, is now regarded as less about state pride and more about trialling players and playing conditions, so the inequality of state schedules if three matches were taken away would be a mitigating factor. Not all players would be exposed to different decks across the country, but the drop-in pitches have made the wickets relatively homogeneous anyway. Or what about three-day Shield games? Then the BBL season could run into most of February at least. Sure, the Shield is important for the development of Test players. But when you follow the money trail, I’m not sure that ideal can survive when there’s such a stark financial landscape. There’s much more to be made and passed around. And if that’s what the players want, the ACA-CA pay battle a few months ago showed the players ultimately have the power to move the sightscreens whichever way they want. 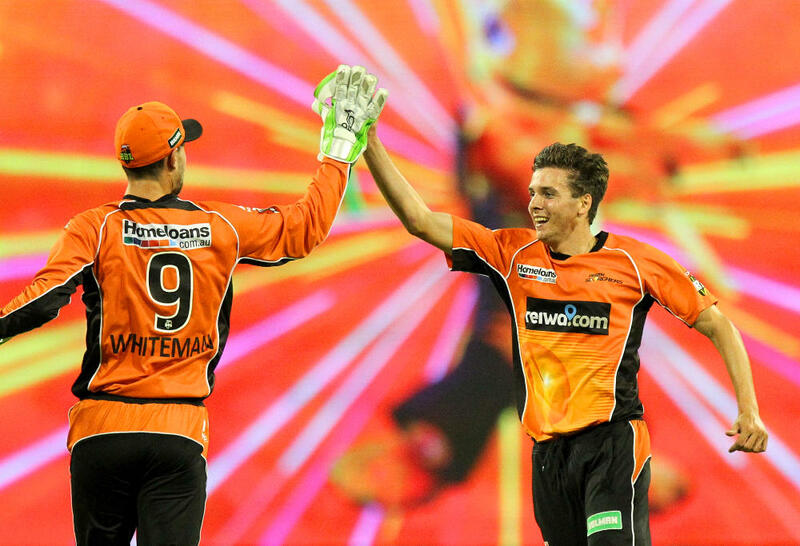 It looks like a BBL game on Christmas Day is inevitable, which proves money can comfortably bulldoze tradition.